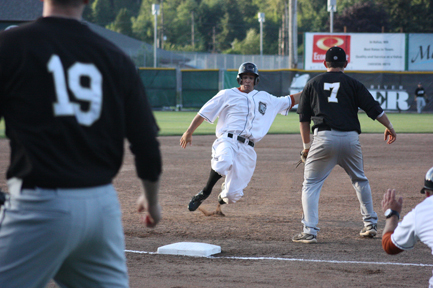 The Cowlitz Black Bears continue to roll as they defeated the Bend Elks 6-1 on Saturday at Vince Genna Stadium. 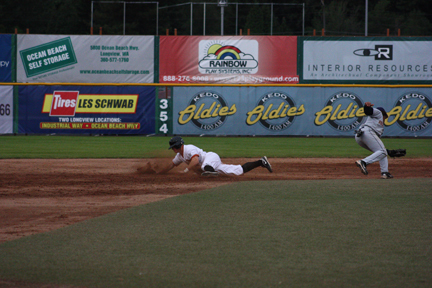 Down 4-2 going into the fifth, the Cowlitz Black Bears scored at least one in all of the final five innings to take the 10-5 victory over the Bend Elks Friday night. 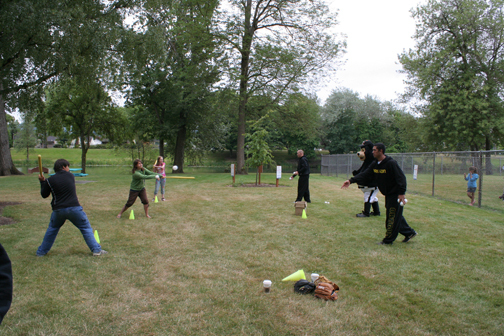 Corby and a couple of players spent some time at a Longview Parks and Recreation Adventure Camp on Thursday. 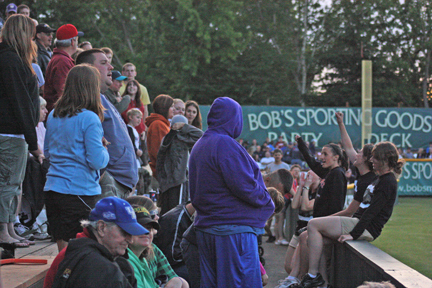 Fans in attendance for KBAM 1270’s Country Music Night saw a 7-1 Black Bears victory over the Wenatchee Applesox on Thursday night. It's our second to last Thirsty Thursday, so join us at David Story Field for baseball and $2 beers! Tonight is our second to last Family Night. It's also Union Night, so come on out to David Story Field and support your local unions. 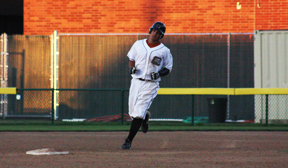 The Wenatchee Applesox scored in all but three innings to take the 9-4 West Coast League victory over the Cowlitz Black Bears in front of 1,222 fans on Tuesday night. 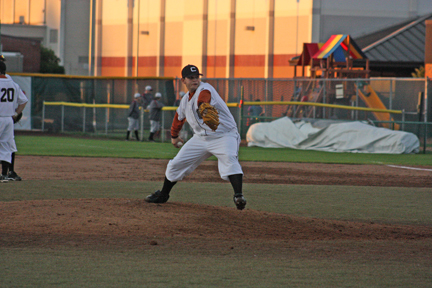 Kitsap evened up the season series at 3-3 after defeating Cowlitz 9-2 at the Kitsap Fair Grounds on Monday night. 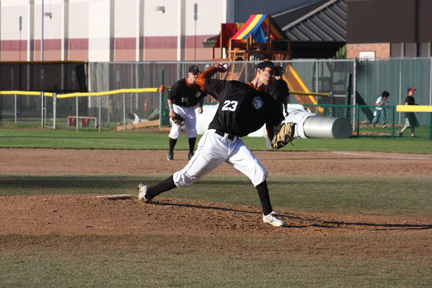 The Cowlitz Black Bears host the Wenatchee Applesox for three games this week. 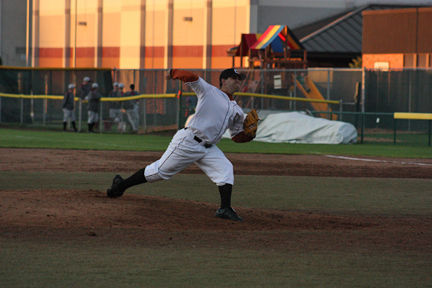 Jeff Gold tossed a two-hit complete game and allowed just one run, but the Cowlitz Black Bears fell 1-0 to the Kitsap Blue Jackets on Sunday evening in a very quick one hour and 48 minute game. A bases loaded two-out single from third baseman Stefan Sabol gave the Bears the 5-4 win at David Story Field on Saturday night. In their sixth extra-inning game of the season, the Black Bears fell 4-3 to the Kelowna Falcons at David Story Field on Friday. 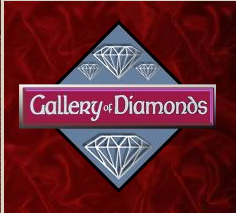 The Cowlitz Black Bears are set to host the first ever Gallery of Diamonds ‘Diamond Dig’ at David Story Field on Saturday, July 24. After the Black Bears tied it at 1-1 in the second, the visiting Kelowna Falcons scored nine runs to take the 10-1 victory at David Story Field. 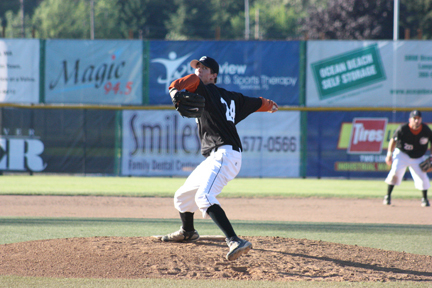 The Cowlitz Black Bears return home on Thursday to host the Kelowna Falcons for a three-game set at David Story Field. In the longest game of the short history of the Black Bears, Cowlitz fell to Corvallis 5-4 in 16 innings at Goss Stadium on Wednesday night. A five run first for the Corvallis Knights put the game away as the Cowlitz Black Bears fall 7-2 in West Coast League action at Goss Stadium on Tuesday night. 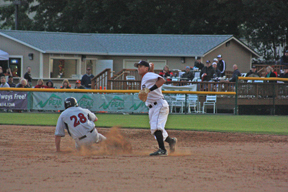 A cheap hidden ball trick from the Corvallis Knights cost Cowlitz the chance to tie the game in the ninth, and the Bears fell to the Knights 5-3 on Monday. Join us this weekend for some great games and promotional nights when the Black Bears host the Kelowna Falcons. 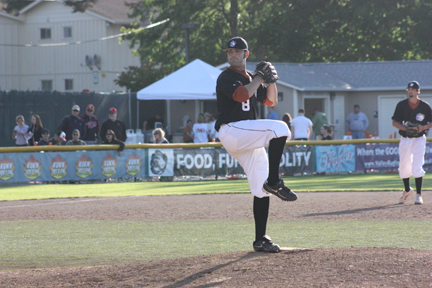 The Cowlitz Black Bears won their second straight West Coast League series with a 6-4 victory over the Kitsap Blue Jackets at David Story Field on Saturday night. It took 14 innings and just over four hours for the Kitsap Blue Jackets to earn the 5-4 win over the Cowlitz Black Bears on Friday night. 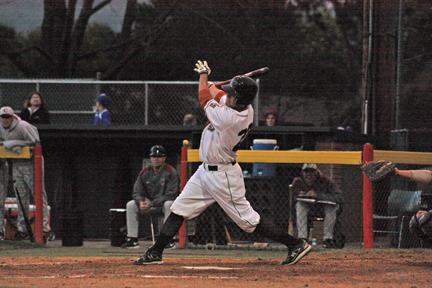 A bases loaded ground out by Braxton Miller scored Jamison Rowe to give the Bears the 6-5 victory at David Story Field on Thursday. The Cowlitz Black Bears return home on a high note after taking a 2-0 shutout victory over the Bellingham Bells at Joe Martin Field on Wednesday afternoon. 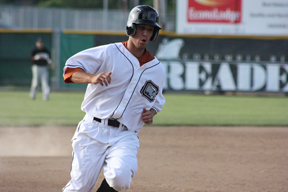 Klamath Falls, Oregon will join the West Coast League for the 2011 season, becoming the 10th active franchise. Tied at 5-5 going into the ninth, Cowlitz scored on a single from Ryan Sheeks and held Bellingham in the bottom half to take the 6-5 victory at Joe Martin Field on Tuesday night. 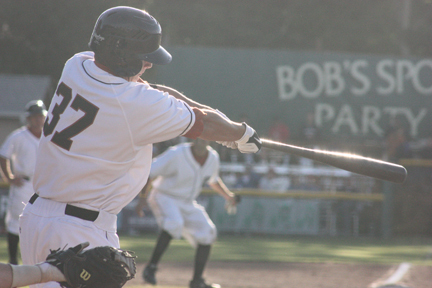 The Cowlitz Black Bears jumped out to a 3-0 lead in the fourth, but a four-run fifth gave the Bellingham Bells the 4-3 West Coast League victory at Joe Martin Field on Monday evening. 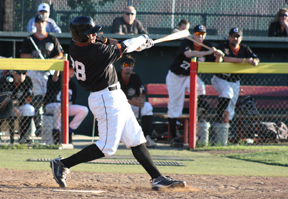 The Cowlitz Black Bears fell to the Kelowna Falcons 6-0 at Elks Stadium on Sunday evening. The loss is the sixth straight for Cowlitz. 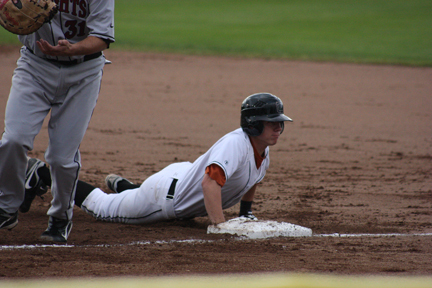 Cowlitz fought back from a 9-0 deficit in the second, but couldn’t come all the way back as the Black Bears fell to the Kelowna Falcons 11-7 in West Coast League action at Elks Stadium on Saturday. 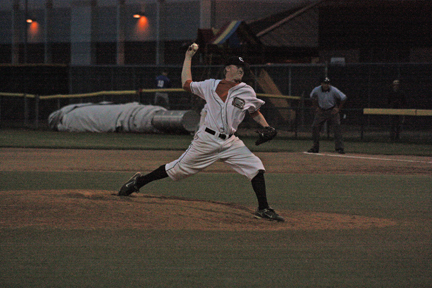 The Cowlitz Black Bears fell to the Kelowna Falcons 3-1 in West Coast League play on Friday night at Elks Stadium. The loss is the fourth straight for Cowlitz. 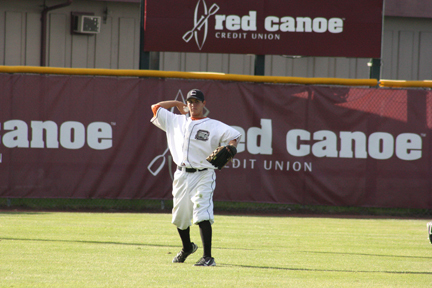 The game on Wednesday ended much the same as it did on Tuesday, with the Cowlitz Black Bears dropping a 10-5 decision to the Moses Lake Pirates at David Story Field. 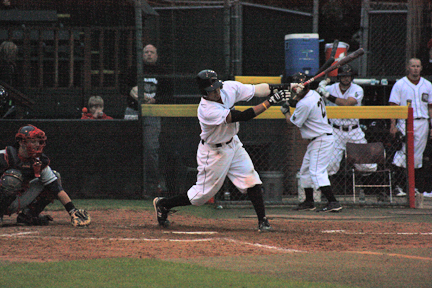 In his first at bat as a Cowlitz Black Bear, first baseman Stefan Sabol announced his arrival with a blast to left center in the bottom of the first. 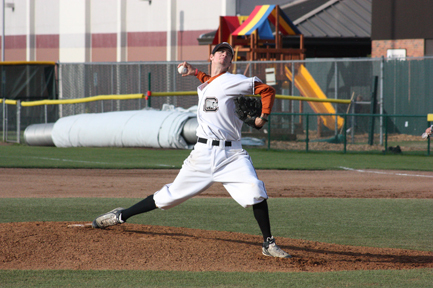 A monster shot to left by Peirce Bily in the fifth, brought the Cowlitz Black Bears to within one, 2-1, but an RBI double in the seventh gave the Moses Lake Pirates the 3-1 West Coast League victory at David Story Field on Monday evening. The Cowlitz Black Bears (8-12-1, 5-11 WCL) bounced back from a 2-0 deficit to take a 5-3 West Coast League win over the Kitsap Blue Jackets (11-9 WCL) on Sunday night at the Kitsap Fairgrounds and Special Events Center. 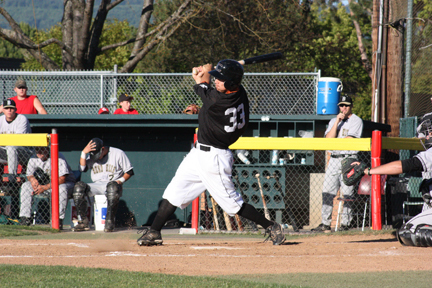 After taking a promising 3-0 lead in the first two innings, the Cowlitz Black Bears (7-12-1) fell to West Coast League foe Corvallis Knights 10-5 at David Story Field on Friday night. 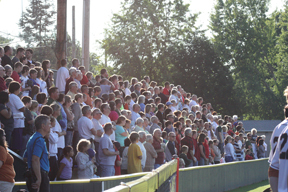 The Cowlitz Black Bears will host the WCL Portland All-Stars at David Story Field on Monday night. 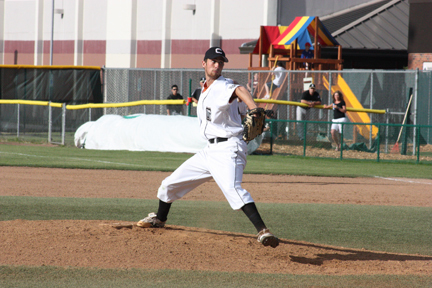 The Black Bears play three at Bend before returning home for the final four home games of the 2010 season. Hey Cougs! Come on out to David Story Field and join your fellow WSU Alumni on the Party Deck for tonight's Bear's game against Kitsap. The Cowlitz Black Bears host the Kitsap Blue Jackets tonight in the second game of this three-game series at David Story Field. First pitch is scheduled for 6:35 PM.